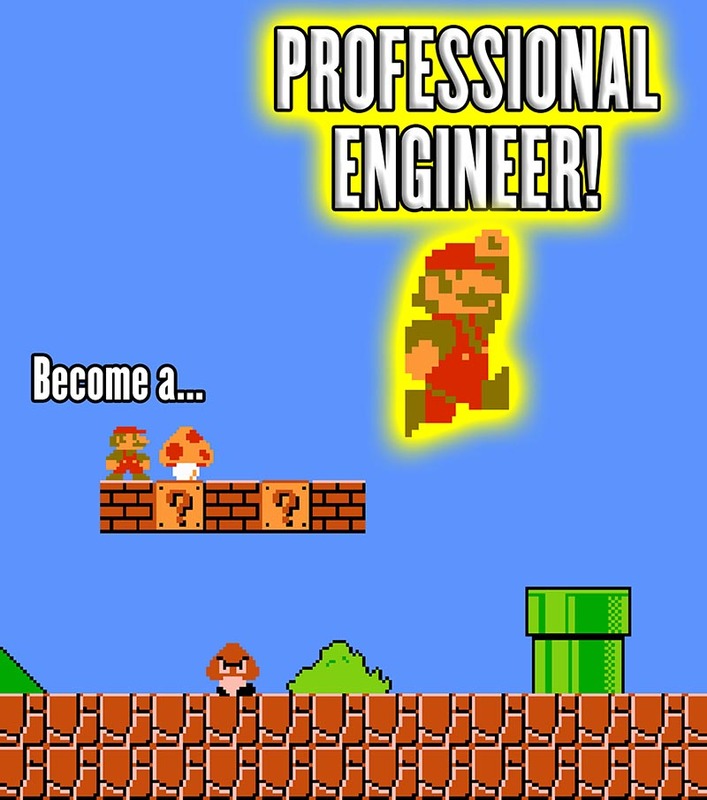 Completing the FE Exam is the first step to becoming a Licensed Professional Engineer. It is a valuable credential to have in a competitive job market. In order to do engineering consulting work, or to work for certain government agencies, you need the designation of Professional Engineer. This means you will have to pass the FE Exam. You can complete the entire registration process on-line. The cost of the FE Exam is $175. Results of the FE Exam will typically be available to you 7-10 days after you take the exam. However, you cannot request your actual FE Certificate until you have received your diploma and forwarded NCEES a copy. Sign up for a date, time and location for the FE Exam. After you have successfully registered for the FE Exam, you will have one year to take the FE Exam. Since the exams are now offered year-round, look for exam dates available when you register. I would recommend sooner and not wait. Past data has shown that students’ performance on the FE Exam degrades rather quickly after they get out of college. You will never be sharper to take this exam than right now. The available number of computers at any one time is 15 computers (not very many). Remember this is a 6 hour exam, so no more than one examinee can complete the exam on each computer on any given date. Note: There are other Indiana testing sites, but the closest non-Purdue site is Indianapolis (50 miles away). The total seats available from all Indiana sites is about 60. It is in your best interest to register and schedule your FE Exam ASAP, so you can get your preferred date, time, and location. We strongly encourage you to watch the Exam-Day Experience Video (less than 5 minutes). It will give you a great insight on what to expect on the day of the exam. The security procedures used for the exam are significant. It will be helpful to you to understand how it works in advance. You should download (or purchase a hardcopy of) the FE Reference Handbook. This is your one reference document that you will have available during the exam. 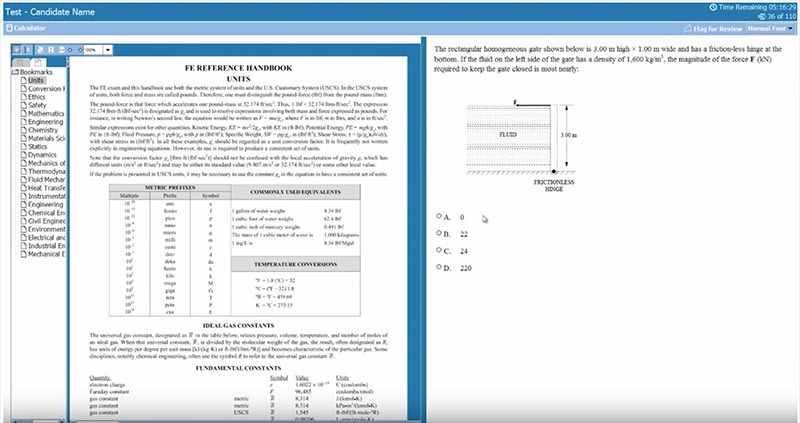 It includes all of the basic equations and conversions needed for the various topic areas covered on the FE Exam. During the exam you will not receive a hardcopy of the reference handbook, but rather an electronic version that has all of the major sections bookmarked. Here's a quick video (32 seconds) listed below to see how the on-Line Reference Handbook works. It appears fairly intuitive but seeing it in action will help you know what to expect. Following this video, there several other short 20-30 second videos on the FE Reference Handbook and other testing processes. Finally, there are a number of different materials that you can purchase to help you better prepare for the FE Exam if you are interested. These items are not required, but may be beneficial to you. FE Review Manual by Michael R. Lindeburg, PE - the most popular FE Review Manual. If you choose to purchase one, you might want to go in with 2 or 3 other people so as to keep costs down and share the manual, or search the Internet for cheaper copies. Purdue Chi Epsilon FE Review Sessions - In addition to this resource, Chi Epsilon, the National Civil Engineering Honorary Society, typically organizes several free FE Review Sessions with faculty. YouTube Video Review Sessions - you can find plenty of review sessions just by searching the topic of interest on YouTube. Try searching something like “FE Exam Math Video Review Sessions” or “FE Exam Statics Video Review Sessions”, etc. You can look through different review sessions until you find the style that works best for you. These are available 24-7-365 (all the time), and they are free! The College of Engineering has more detailed information on the FE and FS Exams.